Planning your dream home is both a fun and daunting task. You have the best design ideas for the rooms, including exterior spaces such as the patio and the garden pool area. You have everything perfectly laid out in your mind- from the floor plan layout to the construction materials, but you do not have the capability to put all these things together. This is where house planning for your Sydney home comes in! Professionals with a formidable background and excellent reputation among contractors and past clients are essential if you want your home plans to be smooth sailing from start to finish. Where does house planning begin? House planning usually starts with identifying the needs and the goals that you want to achieve. Before any home designs can be drafted for your Sydney home, you need to be certain of your brief, budget, design concepts, and basic home necessities. 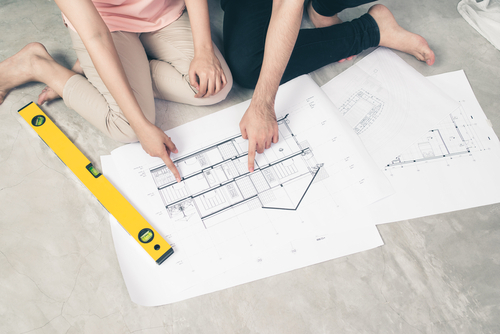 A reputable design & drafting company can help you understand the important elements of home design so you can make better decisions on materials, layout, designs, and construction elements to name a few. What is an important house planning step prospective homeowners don’t know about? Building application (approval) requirements, fees, permits, and procedural forms need to be filled out and submitted to various agencies in order for your home construction to push through. A home design agency operating in your local Council (whether Inner West, Hornsby Shire, Willoughby, Northern Beaches, and so on!) should be able to assist you with furnishing all these forms during the initial stages of house planning and design development. Securing the approval is just as important as coming up with a new house design for your Sydney residential property. Without the legal paperwork, it will be impossible for you to start the project. Failure to obtain an approval will halt the construction. This will most likely lead to exceeding your projected budget and timeframes. There may also be inspections and certifications that your project may need to pass before construction can begin. There are relevant Australian standards and building codes that need to be met to ensure your family’s safety and well-being. Structural integrity and the quality of amenities and materials are paramount to the success of your future home. Precision Planning can assist with giving you relevant contacts that can assist with every step of your journey! We offer a long list of home planning and design services to Sydney homeowners ranging from custom home design, floor plan layout, concept drafting, to providing assistance in completion and submission of development applications and other relevant requirements to government agencies, Councils and Certifying Authorities. Call Daniel on 0416 110 281 or click here to learn how we can help you build your very own dream house!